If you haven't been shooting the Mountain Range lately, then you haven't seen the fantastic work that has been done in order to get ready for the CBH SAA State Field and the IFAA NAFAC Championship. A big thanks to John Peot, Bill Waltz, Max Burk, and Joe Baglio for all your hard work and dedication to the Club. Also, as a reminder, the Valley & Mountain Roving Ranges, the FITA target, and the Broadhead Pit will be closed for these shoots. The Practice Butts will be open. They will probably be crowded between 7:00 am and 9:00 am, but when the shoot starts they will empty out. We would like to encourage all our Club Members to shoot both of these tournaments, so if you haven't preregistered, do so quickly. As usual, we are in dire need of Cook Shack workers for both of these shoots so we are giving away extra incentives to anybody that helps out. Please contact Tony Tobin to volunteer for your favorite Cook Shack position. There will be a general work party for both these shoots on Saturday, June 4th & Sunday, June 5th at 8:00 am. I think most of our members know that hosting the CBHSAA State Field is an honor that offers us a huge chance to show off our beautiful range. There is no other range like ours in California. Many members may not know what the IFAA NAFAC is. This is a shoot that is dedicated to the International Field Archery Association (IFAA), which was developed in order to foster friendly competition between the United States, Canada, and Mexico. In order to compete for awards, you must be a citizen of one of these countries and belong to your respective country’s National Archery Association. You must also belong to your State Association. Otherwise, you will have to shoot in the “Guest" class. If you have any questions on either of these shoots, please give me a call. The World Archery practice round that Julie Robinson spearheaded a week ago brought shooters from Alaska, Oregon, Texas, and California. Everybody was impressed with how good the range looked. Again, a big “Thank You” to everybody that comes out to the work parties to help maintain and improve the range for everybody’s enjoyment. Happy 4th of July to All. PS. Don't forget the Fire Cracker shoot is coming up on June 26th and we will need Cook Shack workers, help with Registration, and a couple of Floaters for other miscellaneous duties. Please call Tony to volunteer for Cook Shack help. Please call me to volunteer for Registration and Floater Duty. We would like to have one or two people who are interested in doing Score Keeping at some of the shoots. So far it has been David and myself who have been doing the job, and now we need to expand on that in preparation for the time that one or both of us can’t make it. Naturally, you have to be willing to work instead of shooting for the day, so this new job will count the same as a Cook Shack assignment (2 work party credits). If you are interested, call me and we can work out the details. Basically, you would be working at least three of the six shoots that we hold every year. For now you would be working with us as you learn the job. Then we end up with three people who can do the job and if one of us can’t be there, the other two will be able to handle things. If we get two people to take on the job, then we will assign three shoots a year to each of you so that you can plan a year in advance to be available. Call me… 909-223-5822, let’s talk. It’s been a little while since my last article so I’ll try to cover a few important things here. We are very busy getting ready for the 3 big shoots that we have for the month of June. Most of the range looks pretty good, but we need some attention to the Mountain Range target assignments. We haven’t had much rain, but it has been cool most of the spring so far and the weeds are growing. All Mountain Range target assignments need to get cleaned up completely no later than next weekend. 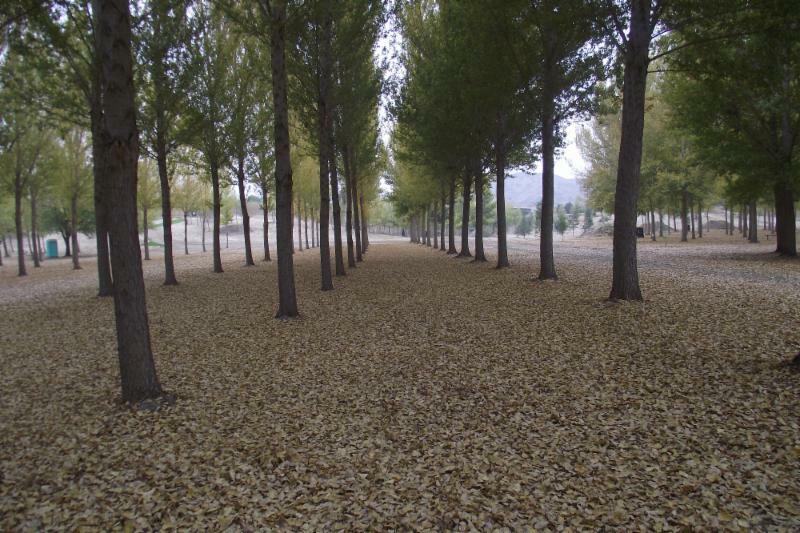 Tree trimmers please get out to the Valley Range and get the suckers knocked off of the big trees. It’s that time of the year and the suckers will be sprouting heavy. We will be having a 2 day work party this coming weekend June 4th and 5th so I could really use the help. I will have to work Saturday night so I would like to get some assignments set up early on Saturday morning and have a team work as much of both days as possible. Most of the work will not be heavy or labor intensive, but it has to be done. Plug painting, target gluing, general clean up and etc. Please plan on making it. The more people we have the faster it will go. Please plan on attending the State Field and the NAFAC shoots. Both of these shoots will be back to back weekends and will be a lot of fun. Plan on shooting both days. It’s a lot of arrows, but is rewarding to finish. If you don’t want to shoot, then come out anyway as I can always use the help. Please keep in mind that the Firecracker shoot is the last weekend of the month and it’s always a hot one. This is the most miserable 3-D shoot that we have, but people seem to like it so we keep it going. It will be hot for Saturday set up, so let’s get a full crew and get it done early. It’s going be hunting season. You only have about 3 days left to get in on the California Big Game draw so you better get to it! For anyone that needs Hunter’s ED, I will be teaching it at Raahauge’s again on the first weekend in July. Check their website for date and time. If anyone needs Bow Hunter's ED I will be teaching that again in July as well. More details to follow. Finally I would like to say that another California State Broadhead Championship is in the books. Everyone had a great time and it was a great shoot. It is probably the best archery tournament that you can go to and Lodi Bowmen did a fantastic job as host. It was miserably hot both days, but the shoot was well worth it. If you have never been to a Broadhead shoot then get ready for next year as they are a lot of fun. The shoot was not without its sad moments, however, as we bid farewell to longtime Oranco Member and good friend Kim Gentner. I have had the pleasure of knowing Kim for about 10 years now and she is just a great lady and a class act. She and her husband Chris are leaving for Washington State on a new adventure in their lives and I wish her nothing but the best of luck. She will be sorely missed in this archery community so please join me in wishing her well during her final months before being paroled from The Hotel California. As always, I thank all of you members for everything you do for us. You folks make it well worth the time and trouble. Until next time, shoot safe and happy hunting!! Contact Tony Tobin for Cook Shack opportunities, there will be a lot of work parties giving Members a chance for reductions on your next year’s dues. Also, it's kind of a secret, but they serve an “All-You-Can-Eat Lunch”. It is hard to believe we that we are already halfway through the 2016 year. So much has happened in and around the Club. If you haven’t been out to the range in a while I highly recommend that you stop by. You will be amazed at the amount of work that the volunteers have put into the maintenance and clean up of the range this year. Thank you to all of the hard work you guys and gals have put in. Volunteers Rock!!! That being said, there is still work to do. Any and all help is greatly welcomed and appreciated. Not only that, volunteering can help you save some money so that you can get some more of that fancy archery equipment I see a lot of the Members using over at the Practice Butts. We have three big shoots coming up in June and we could really use some help with our Cook Shack positions. It is a relatively easy job and it provides you with double work party credits for your efforts. You can’t beat that. Member participation has started to improve at the Monthly Club Board Meetings. However, it is still sporadic at best. If you want to know what is happening in and around the Club the two most effective ways I have found is to either Volunteer to help around the Club or to attend a Club Board Meeting. I recommend both. The Club Meetings are ALWAYS held the "Second" Tuesday of the month at 7:00 pm in the Club House. Warning, don't be like me and show up on the "First" Monday of the month and wonder where the heck everybody else is. Trust me, we have more than enough chairs. So come on out and spend the evening with us. The next one is coming up on June 14th. Plan on attending if you want to know more about what is going on. Joe was very pleased with the outcome of the work that was performed on both Targets # 11 and # 26. He greatly appreciated everyone who came out to help with the Work Parties. Check these targets out and let us know your thoughts. The Club ended up having to buy a couple of new padlocks due to the fact that someone cut the gate lock. If you see someone out on the range that shouldn’t be there, let us know. Pete has completed the revised Range Map and has provided it to David so that we can get it uploaded to the Website. He is going to make some copies for the Club House and the New Member packets. Keep an eye out for them. Bill has completed the revised Hunt Cards and has provide them to David to upload on the Website. Keep an eye out for these as well. Bill mentioned reading an article in Western Outdoor News that stated that there should be good Hog Hunting Season this year. However, you need to beware of the Rattlesnakes, they will be out in force as well. Bill has heard a lot of talk about Members taking game this year, but he hasn’t been seeing very many Game Cards coming in. Don’t forget, it is your responsibility to get any outstanding Game Cards recording any and all animals that you have taken throughout the year into Bill by the deadline in order to qualify for awards at the next Club Banquet. Anthony is working on creating a revised Tournament Archer Of The Year (TAOTY) card. Once completed, he will get it to David so he can upload it to the website. The deadline for turning in these cards for 2016 will be on November 1st, 2016. This will allow the Tournament Chairman enough time to tally up all of the incoming scorecards in order to determine the award winners. The Flag Pole project has been completed. It looks really good. I might hire these guys to come out and put a flag pole out at the house. If you haven’t seen it, come on out and check it out. During the May Board meeting, some suggestions in regards to the venue and food choices for the 2017 Club Banquet were introduced for Board Review. Due to the size of the current Club Banquet attendance, apparently there has been some issues with obtaining a good deal for the value that we have received in the past. If any of our Oranco Members has any suggestions in regards to food choices, venues, entertainment, etc...please let me know. Perhaps one of you either runs a local establishment, or works for a local establishment that would be able to accommodate our needs. We are currently in the process of researching various places, please let me know if you have any ideas. Get involved and let us know your thoughts. As you can see, we discuss a wide variety of topics at these meetings, if you have any comments or feedback….this is the place to bring them to. The Club Board is always open to suggestions or Member feedback. An excerpt from World Archery - Read the Full Article Here (Article was amended to fit the allotted space) Archery is perhaps the world’s most inclusive sport. Few activities let you begin when you’re tall enough to hold a bow and keep you shooting at age 90. DON’T YOU NEED TO BE STRONG TO DO THAT? ARCHERY MUST BE REALLY DANGEROUS, RIGHT? Archery is statistically one of the world’s safest sports. According to recent National Safety Council statistics, archery is more than three times safer than golf, with just one injury per 2,000 participants. Over 90% of those injuries occurred while Bow Hunting, not Target Shooting. I COULDN’T DO THAT. MY EYESIGHT IS BAD. ISN’T ALL THAT STUFF REALLY EXPENSIVE? IT MUST GET BORING DOING THAT ALL DAY. It’s never boring to constantly improve your discipline, focus and precision. In fact, few sports have such a range of options surrounding the core activity. Which type of bow do you want to shoot – compound, recurve, bare bow or one of dozens of traditional bows from around the world? What kind of tournament do you wish to try – Target, Field, or 3-D? Indoor or outdoor? DON’T YOU HAVE TO WEAR GREEN? Upcoming Range Work Party: We would greatly appreciate your help and support for the upcoming Work Parties. Keep an eye out for the email blasts. All Club Members and their families are invited. Per Joe Dotterer, Club President there will be an “ ALL YOU CAN EAT LUNCH” served for ALL of our Volunteers who come out and help. 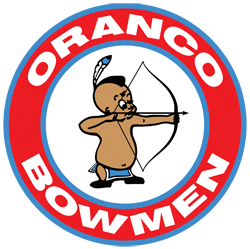 Your assistance ensures that the Oranco Bowmen Archery Club remains the best Archery Club in Southern California. There is a reason why people travel from all over California to shoot at our Archery Club. Get involved and help us out. Cook Shack Workers Needed: Positions are still available for volunteers to help out during the three upcoming shoots. Please call Tony Tobin today to reserve your spot at: (626) 354-2268. First come, First Serve. Mission Statement: My Goal as Newsletter Editor is to help Members stay informed with the Operations and Activities that are going on in and around the Oranco Bowmen Archery Club. Your suggestions are welcome and appreciated. 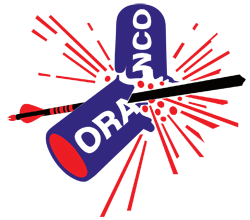 Check our new website David has worked so diligently on improving for us. Please show him your thanks when you see him.